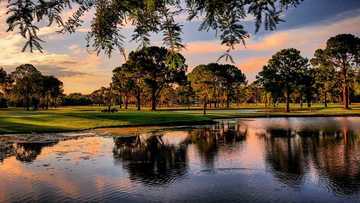 A sunset view of a tee at West Orange Country Club. 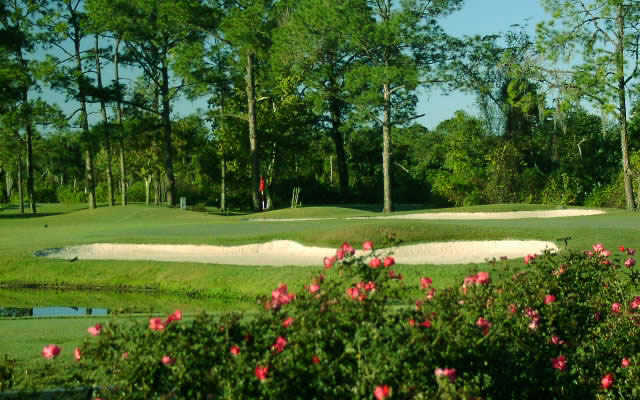 West Orange Country Club is a historic private golf course in Winter Park. 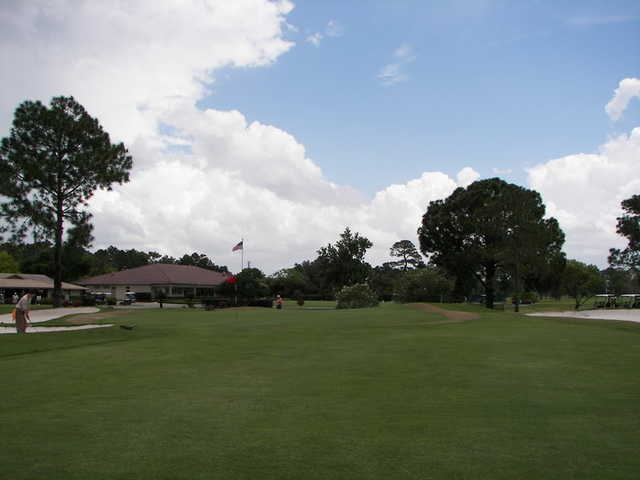 The golf course was designed by Lloyd Clifton and opened in 1967. 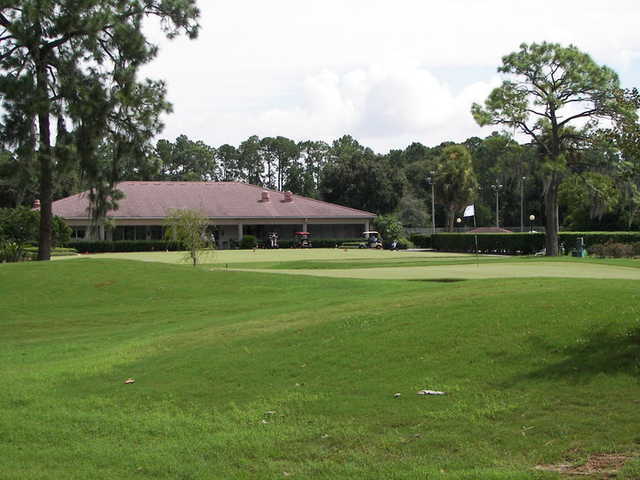 West Orange Country Club has short fairways and small greens. There are five lakes and two streams that come into play on 12 holes. 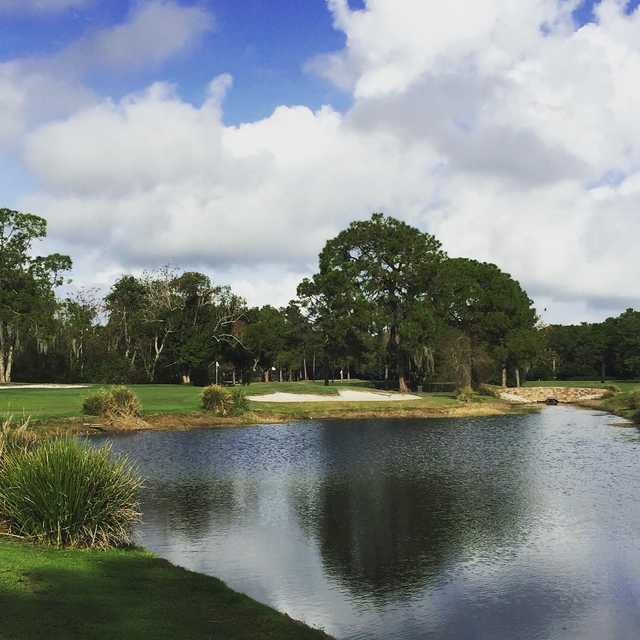 The signature hole is the 408-yard par-4 ninth, with a dogleg right and water coming into play. What a great course and perfect little private country club! If you looking for a club that you can join and just show up and play without have to worry about tee times this is the place. Members are very welcoming to new comers and you can always find a game to play at all levels. Staff will go out of their way to make you feel at home. Greens are in good condition and the club prides itself on keeping them running between 10.5 and 11.5 stimp meter so be ready for the challenge.